When you purchase an Abbey Variable Angle Troughing Set you can be assured of the highest quality available. All our Variable Angle Troughing sets are made to our patented design & construction and offer a unique and versatile solution to the customer every time. 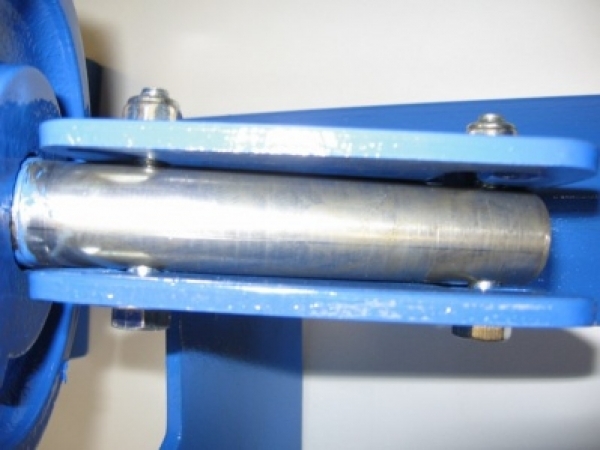 On the Variable Angle Troughing Set no external side roller supports are used requiring only one shaft to extend from the bottom of the roller. This shaft has two holes drilled through to allow it be bolted to variable angle bracket on the base frame. 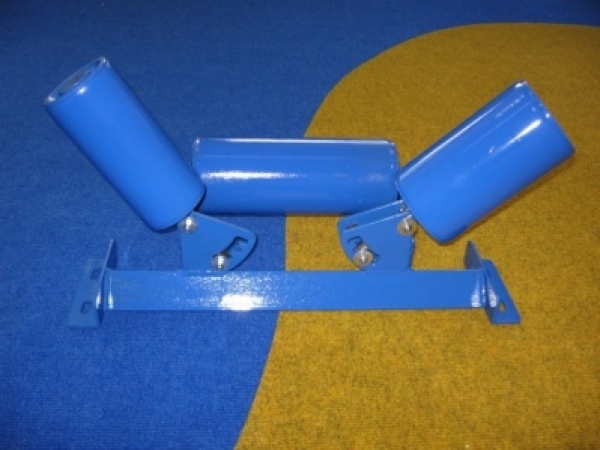 There is no requirement for a projecting shaft at the top of the side roller so it is completely sealed by a solid cast iron end cover giving 100% bearing protection. Each side roller can be easily adjusted by hand to change the angle to 20, 30, 45 or 60 degrees. This varies the trough angle of the belt and facilitates simple belt alignment in minutes and reduces the need for any belt shutdown. 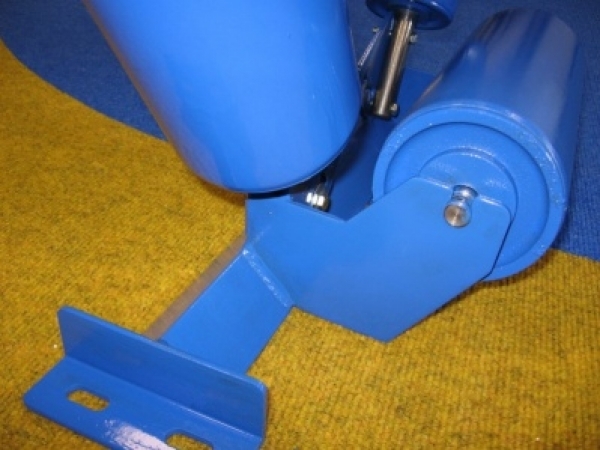 The centre roller is offset allowing for any material spillage or trapped material to fall away therefore eliminating obstruction of the rotating roller. This is further assisted by using an angle Iron base frame which does not allow and material build up across the frame. 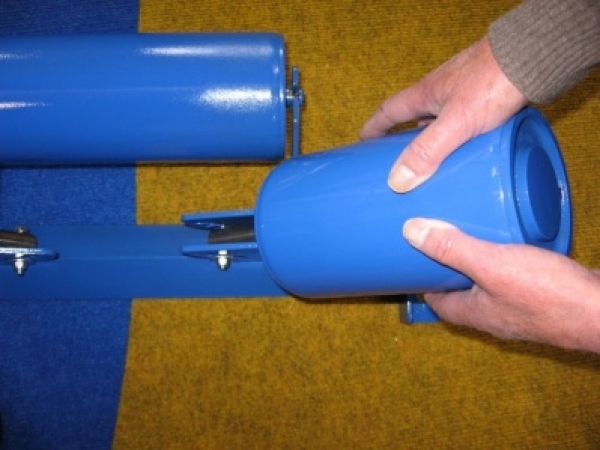 No Tools are required to alter the side rollers – This can be done by hand in seconds. Side roller angles may be alternated to correct belt misalignment. 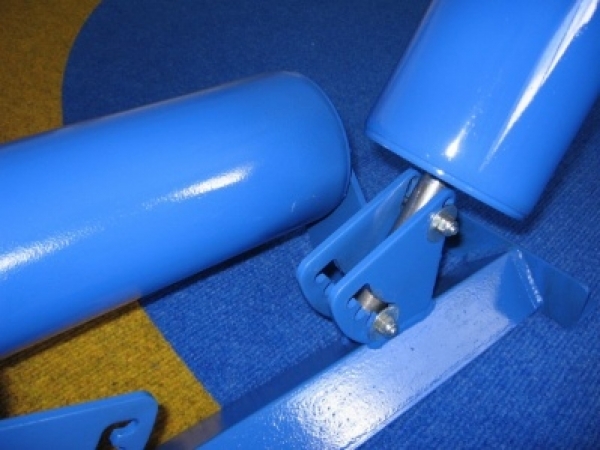 The side roller angles for a whole conveyor can be changed within a matter of minutes. No jamming occurs of the centre roller due to Abbey unique design. Self cleaning bases that remain clean! Absolutely no lubrication required: All our bearings are 2RSC3 sealed for life fully lubricated. These bearings are fitted behind double lip seals for ultimate protection. 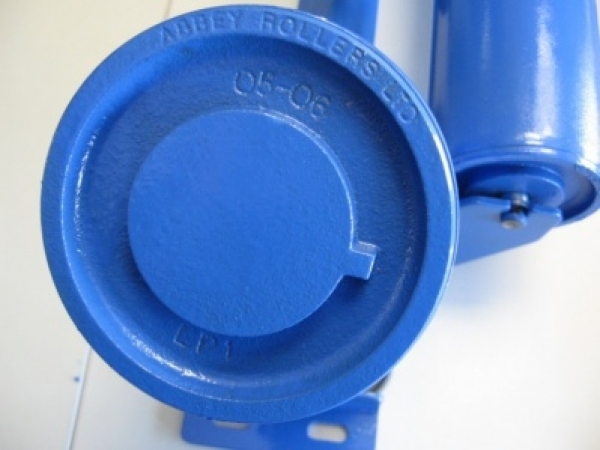 When side rollers eventually need replacing, simply remove two steel bolts – remove and replace with a new abbey roller. 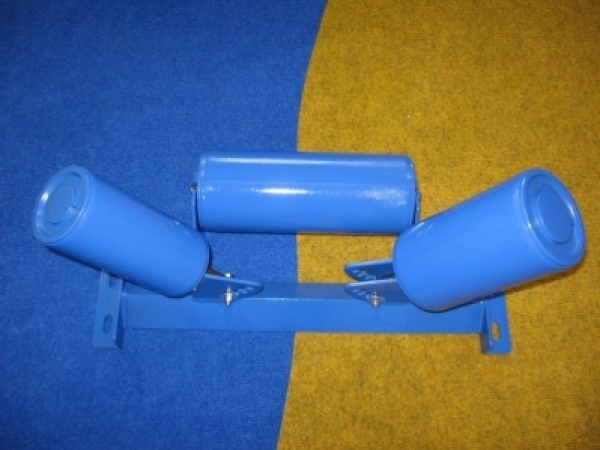 The top of each side roller has a cast iron end cover that is completely sealed giving 100% protection to the bearings inside from ingress of dirt, moisture etc. You can replace individual troughing sets as base dimensions allow for inter changability with other makes.